Infinity REF-9603ix speakers feature vented voice coils through their magnet and frame assemblies. Keeping the voice coils cool leads to greater power handling and increased reliability, and helps eliminate the power compression that can cause distortion. It’s just another way that Infinity engineers ensure that you’ll enjoy these speakers for the long haul. 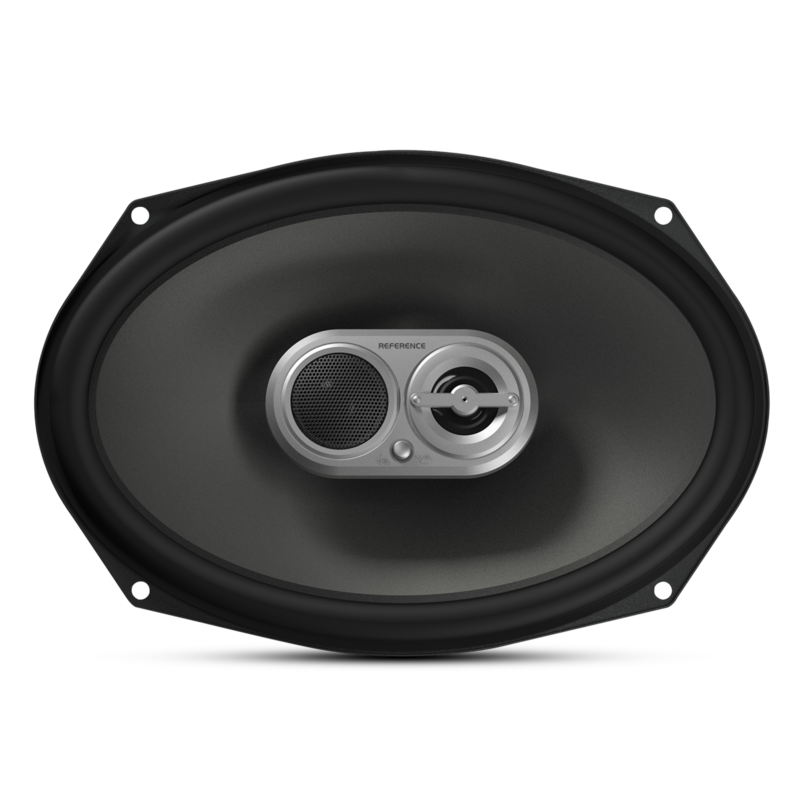 The powerful, edge-driven fabric soft-dome tweeter design in the Infinity REF-9603ix main tweeter features greater power handling and lower distortion than conventional, coaxially configured tweeters. These enhanced performance characteristics allow a richer level of detail in high frequencies and, in particular, vocal clarity that is lifelike because of the improved integration with the woofer cone’s frequency response and radiating patterns. The Infinity REF-9603ix three-way design features a polyetherimide (PEI) super tweeter adjacent to the main tweeter in the center housing. PEI combines high temperature resistance, rigidity and impact strength for superior high-frequency reinforcement even at low power-input levels. Since the super tweeter’s dome and voice-coil former are formed of a single piece, this structure allows robust response well past 20kHz. The bullet-shaped phase plug on the super-tweeter element also helps to extend the high frequencies. This is just the kind of subtle attention to detail you expect from Infinity products. Infinity REF-9603ix speakers feature an adjustable output on the high frequencies. You can easily adjust the tweeter output from 0 to +3 decibels to compensate for low and off-axis mounting positions, road noise or even the limited high-frequency response common in many highly compressed digital media files. You can handle the adjustment with a small button on the center-mounted tweeter/super tweeter housing itself. It’s also accessible through the Infinity supplied grille. A speaker featuring high sensitivity allows a wide range of power and definitively high volume levels without overdriving the audio system. Featuring a sensitivity of 94 decibels at 2.83 volts / 1 meter, the REF-9603ix speakers achieve excellent volume and musicality with as little as 5 watts RMS. These numbers mean simply great performance overall with even very moderate power driving the speakers. This feature makes the REF-9603ix speakers an ideal replacement for factory speakers as well as for any aftermarket installation. 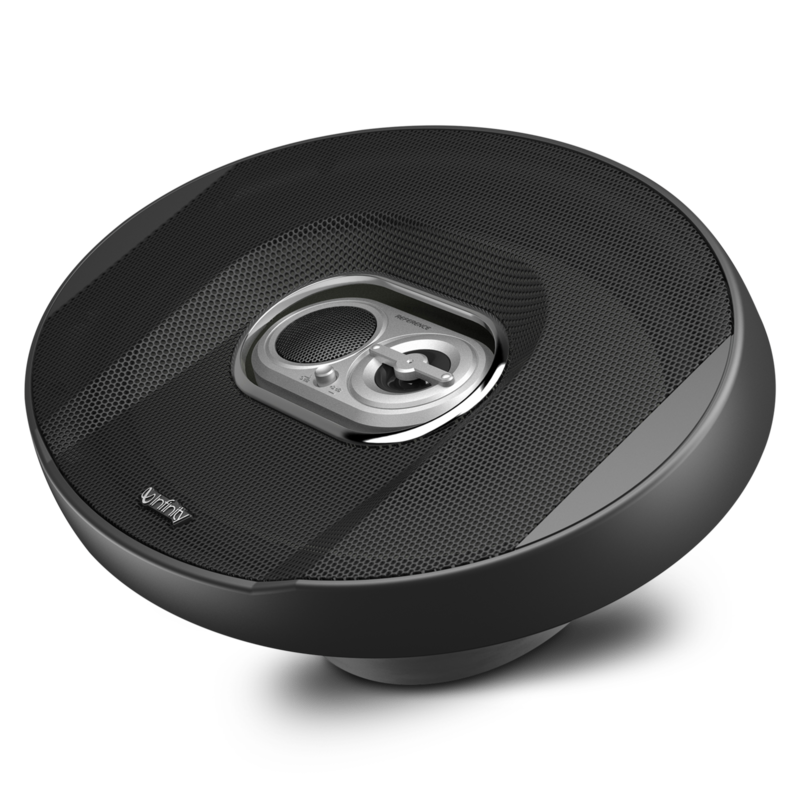 The Infinity REF-9603ix three-way speakers are part of a complete range of automotive speakers that fit factory-installed locations in virtually every vehicle on the road today. These speakers leverage the extensive Infinity pedigree of audio and engineering innovations, and deliver remarkable sound in your car. You’re going to love these speakers. From low to high notes, this three-way has it covered in style. The Infinity® brand is known for a heritage dedicated to great sound reproduction. Whether it’s the lowest notes of a bass guitar, the wide bandwidth of a piano or the cymbal crash in the highest frequency ranges, the Infinity Reference X Series of automotive speakers has it covered. The REF-9603ix is a 6" x 9", three-way, high-fidelity speaker. It offers several innovative features, including Plus One® (U.S. patent number 7,548,631 B2) polypropylene woofer cones, true 4-ohm technology, UniPivot™ (U.S. patent number 6,002,780) edge-driven fabric soft-dome tweeters, an onboard crossover network and a fully adjustable main tweeter level control. The three-way design of the REF-9603ix adds a super tweeter to reinforce high frequencies even further. With up to 300 watts of peak power handling, REF-9603ix speakers are equally suited for head-unit or external-amplifier power. Rigorous quality-control testing and voicing procedures ensure that they meet the tonal quality and power handling that you expect from Infinity products. With a Reference X Series speaker available in virtually any factory size, every vehicle can experience the high fidelity and great value performance of these innovative automotive speakers. Listen to the Infinity Reference X Series speakers and person, then decide for yourself. Your car’s sound system will transform when you upgrade it to Infinity Reference X. You’re going to love the sound.